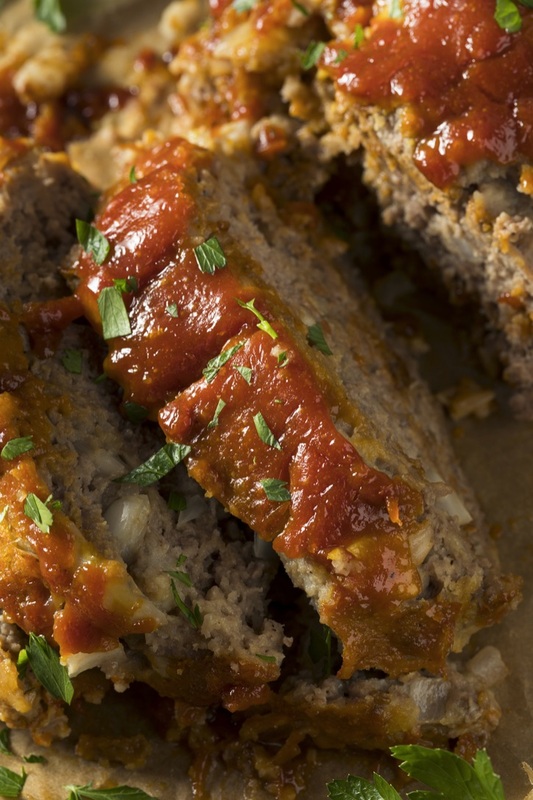 This easy meatloaf recipe is the best thing since sliced bread (Oh crap, that's bad now!! Forgot about carbs). Oh, well. It's still good. So eat it. Preheat oven to 350 degrees and grease a bread loaf pan. I hope you have one, otherwise you're screwed. In a bowl (not a cup), mix together all of the ingredients, but set aside half of the ketchup for later. You guessed it, now fill the pan with your mixture. Top it with the remaining ketchup and spread it evenly over the top. You can also use BBQ sauce, chili sauce or a combination of sauces. Whatever. Bake for 45-60 minutes. Every oven varies so don't blame me if you screw it up. Enjoy! I'd wait a few minutes before slicing it up. Serve with mashed potatoes, veggies or anything thing else you'd like! Yum Yum in my Tum Tum.